We had a great annual business meeting this year. Newly elected officers include Melissa Burgess, Vice President and Katie Dews, Treasurer. We will be posting new membership forms soon with an updated address. ﻿Want something added to our newsletter? Please contact our new VP - Melissa Burgess. 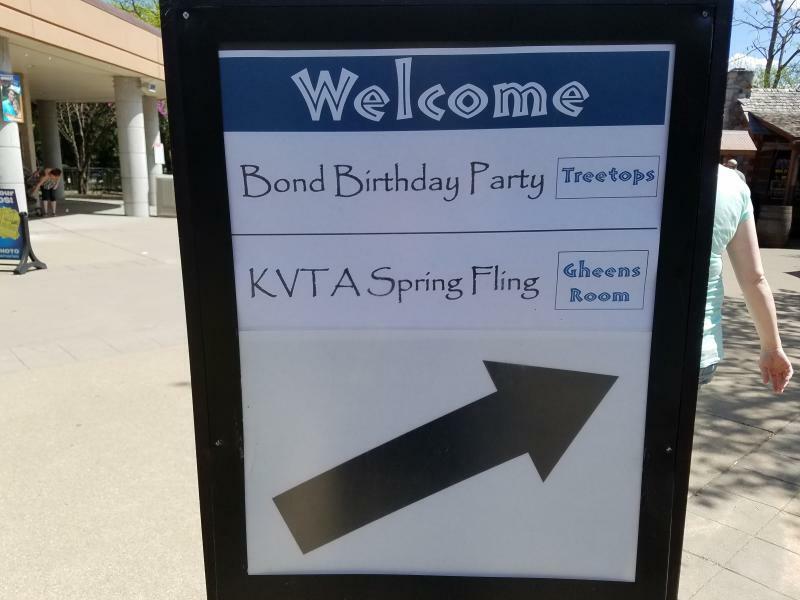 KVTA Membership is now due for 2019, if you haven't yet renewed, please see our membership page for forms. 2019 Spring Fling will be held April 27th, 2019 at the Louisville Zoo. Dr. Antu Radhakrishnan, Elizabeth Hayden, & Judy Tucker will be our speakers. If you didn't get a registration form by mail, you can download it by clicking on the picture below. 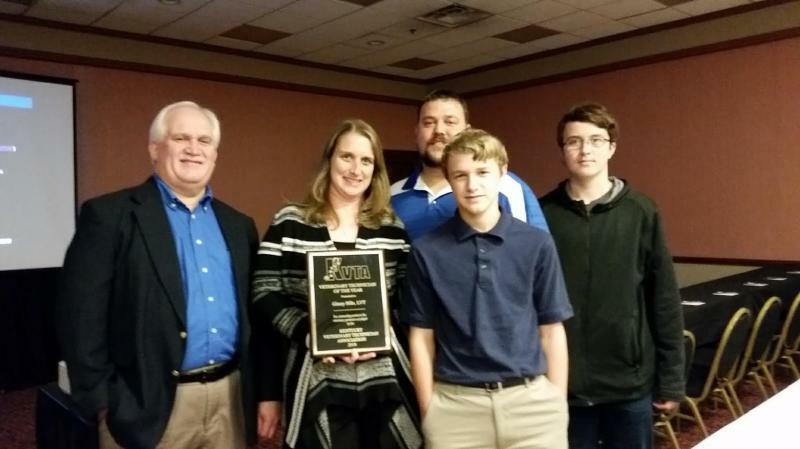 Ginny has been a faithful member and attendee at the KVTA annual business meeting for many years and is well deserving of this award. 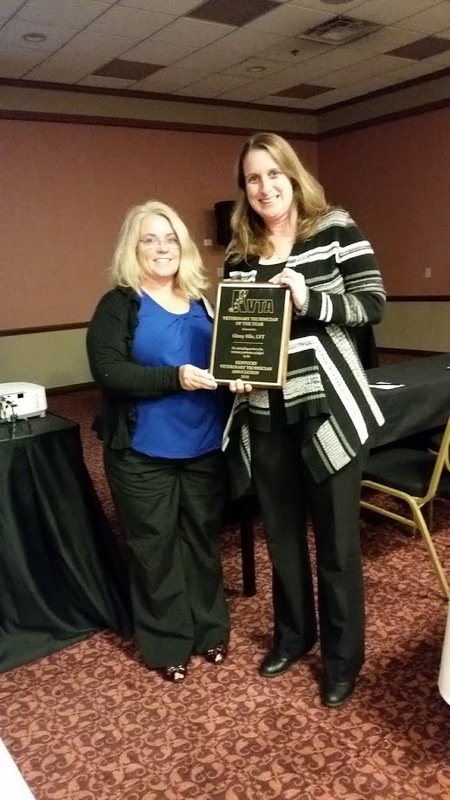 At this year's annual business meeting, last year's award recipient, Kim Coates-Smith, presented the award. Congratulations Ginny! Ginny poses with her sons and husband. Dr. Davis, her employer, closed the clinic in order for Ginny to attend the meeting this year. Exemplifying the true veterinary technician work ethic, Ginny had volunteered to work! SPRING FLING 2019 IS IN THE PLANNING STAGES - STAY TUNED FOR UPDATES! Kentucky Veterinary Technician Association .